The Belfast Douglas ferry route connects Northern Ireland with Isle of Man. 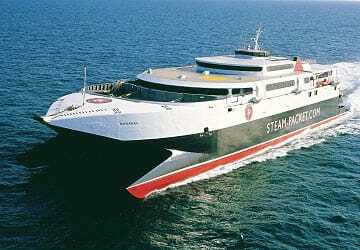 Currently there is just the 1 ferry company operating this ferry service, Steam Packet. The crossing operates up to 2 times each week with sailing durations from around 2 hours 45 minutes. 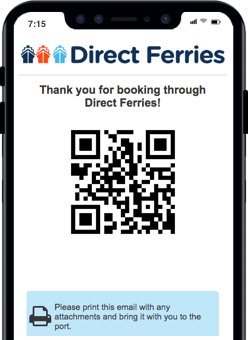 Belfast Douglas sailing durations and frequency may vary from season to season so we’d advise doing a live check to get the most up to date information. Prices shown represent the average one way price paid by our customers. The most common booking on the Belfast Douglas route is a car and 2 passengers. 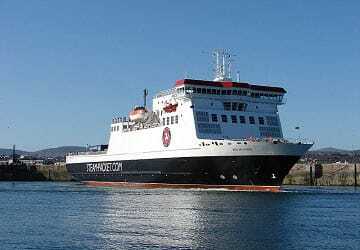 "A very enjoyable trip to the IOM"
My husband & I had a lovely crossing there & back from Belfast to Douglas , & can't understand why there are so few crossings the vessel was very clean & staff was very helpful & busy. 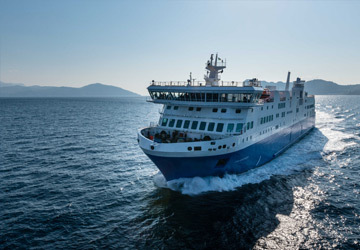 I enjoyed my experience on boat as we were disabled foot passengers we found the ferries very helpful and am now confident of travelling this way again.